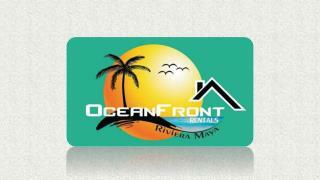 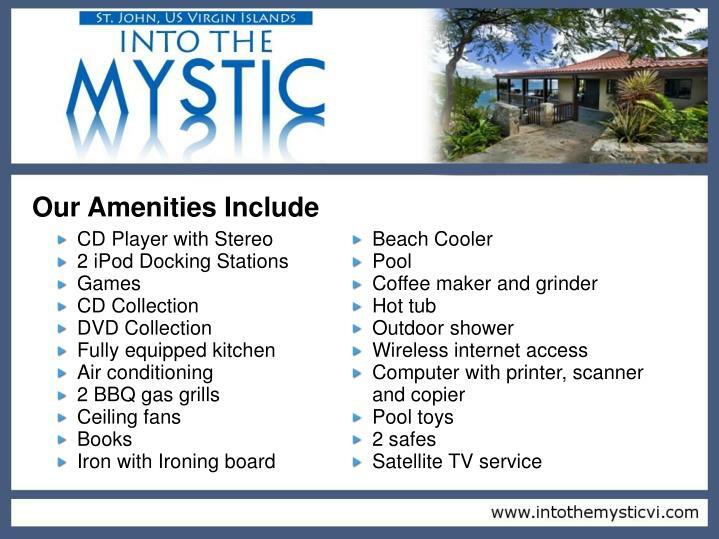 a gorgeous villa, available for rent, overlooking St. John's Coral Bay, St. John, US Virgin Islands. 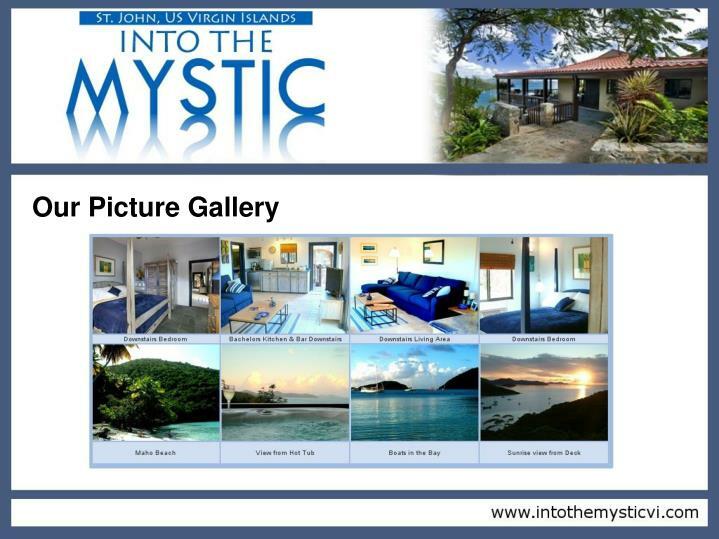 Into the Mystic is a classic Caribbean villa, remodeled in 2008, with beautiful island architecture and breathtaking, long range views of Coral Bay and the British Virgin Islands. 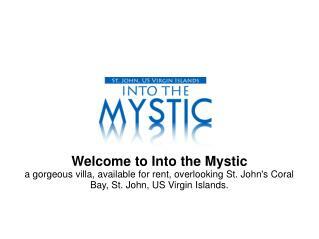 The villa is located conveniently on paved roads, just a two minute drive from Coral Bay and less than ten minutes from the National Park's fabulous North Shore beaches. 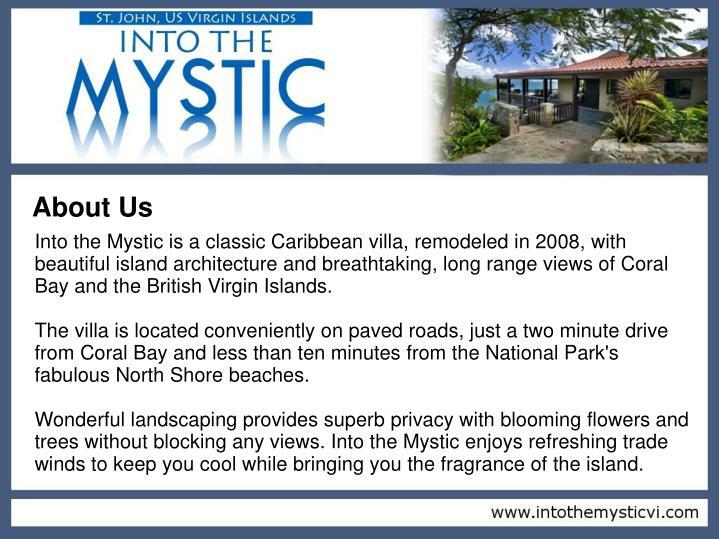 Wonderful landscaping provides superb privacy with blooming flowers and trees without blocking any views. 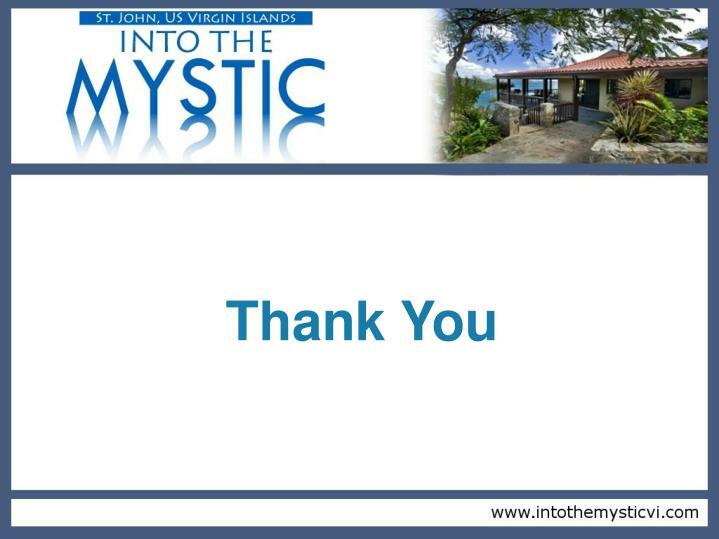 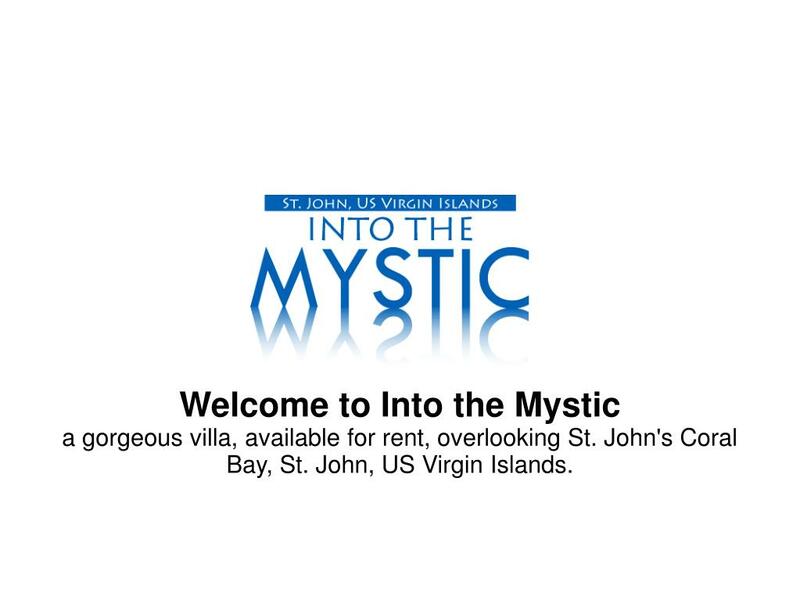 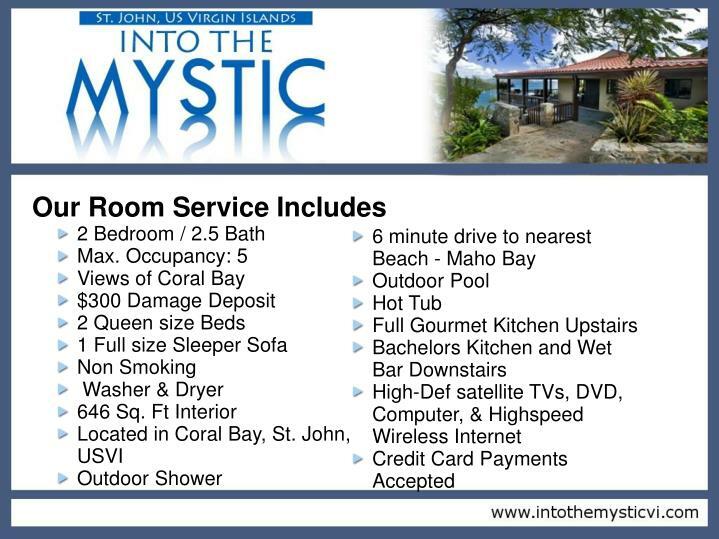 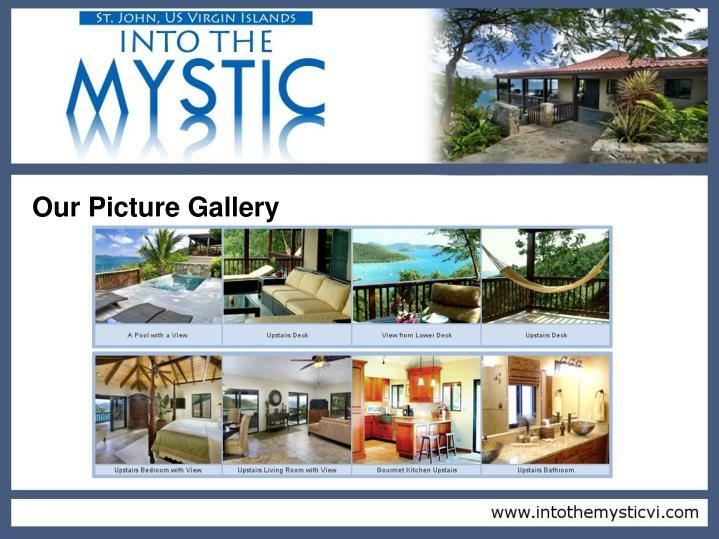 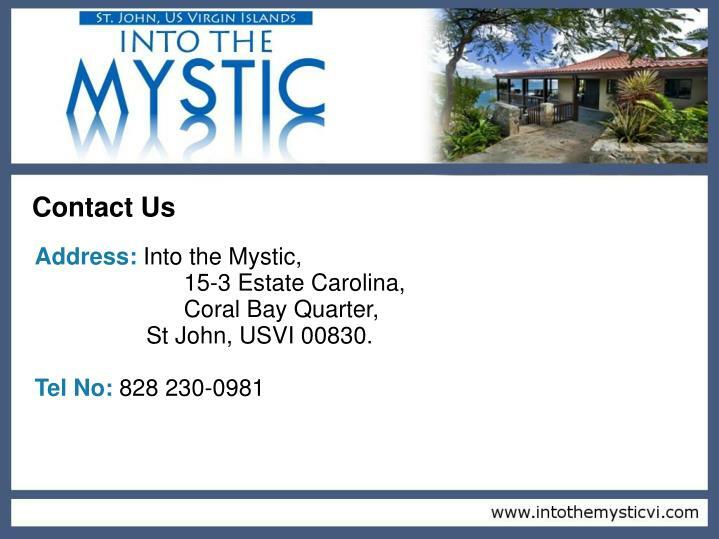 Into the Mystic enjoys refreshing trade winds to keep you cool while bringing you the fragrance of the island.